The event took place on Tuesday morning at the Cherry Hill Fire Department’s Central Command building. Cherry Hill firefighter Shaun Ferguson and Det. Jeff Ruttler of the Cherry Hill Police Department place a wreath in front of the Sept. 11 memorial. 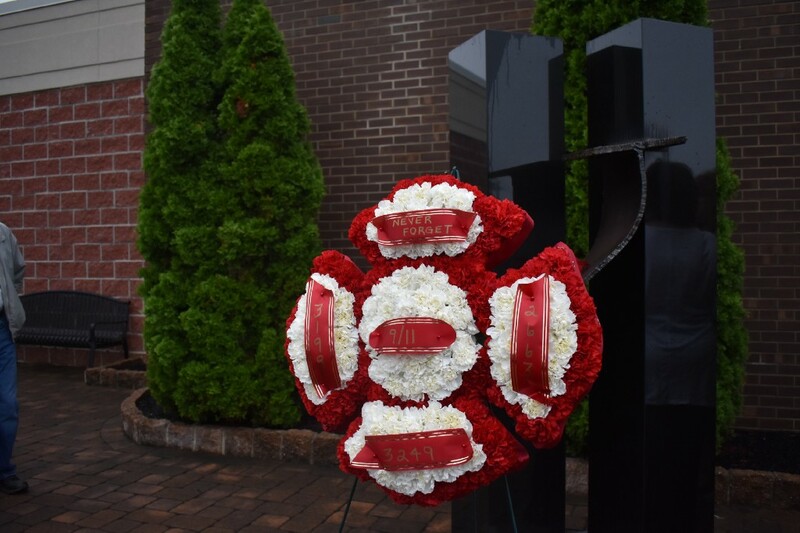 Dozens of first responders, officials and residents from across Cherry Hill Township gather at the Cherry Hill Fire Department’s Central Command building on Tuesday morning for Cherry Hill’s annual Sept. 11 Remembrance Service. The ceremony took place at the Sept. 11 Memorial outside of Central Command. 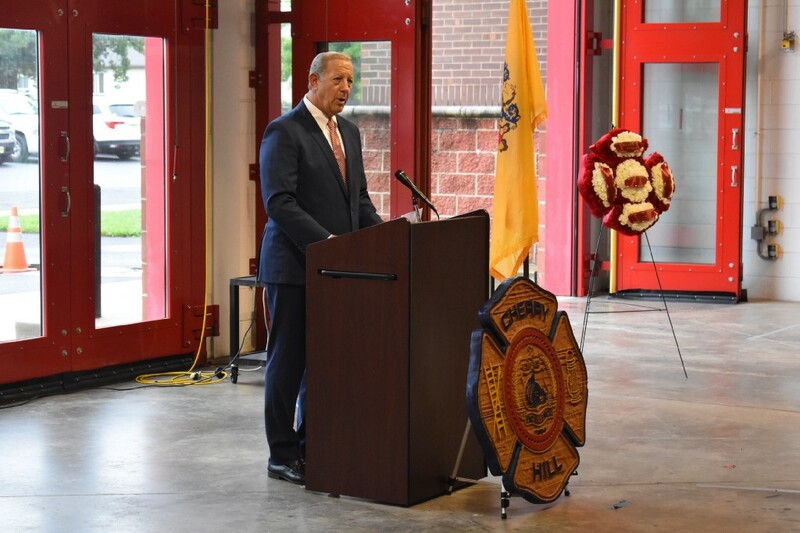 Mayor Chuck Cahn, members of Cherry Hill Township Council, the Cherry Hill Board of Fire Commissioners and dozens of members of the Cherry Hill Police Department and Cherry Hill Fire Department were in attendance. Service. 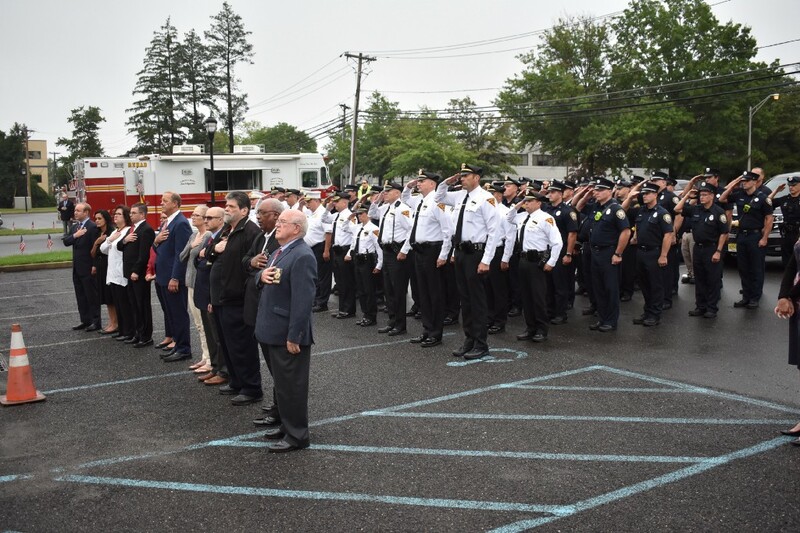 Right: Cherry Hill Township officials and first responders salute during the service. Cahn gave some remarks on Sept. 11 and the importance of remembering those who lost their lives 17 years ago. Following the remarks, firefighter Shaun Ferguson of the Cherry Hill Fire Department and Det. 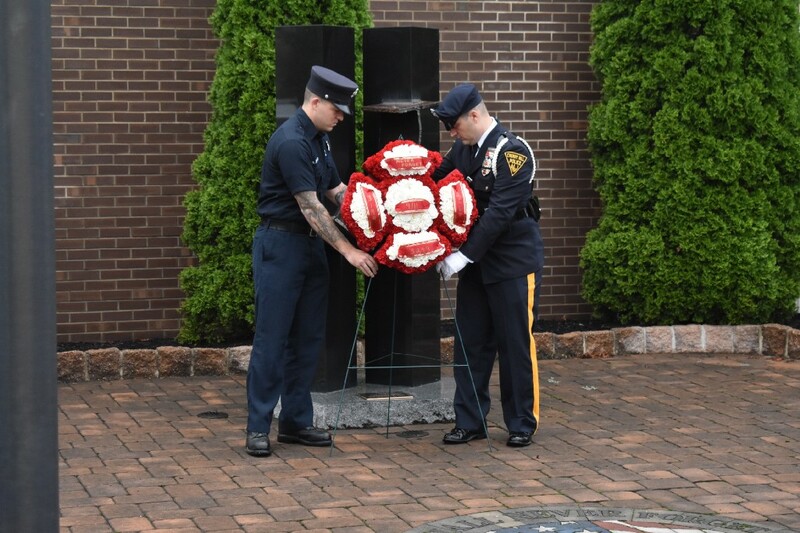 Jeff Ruttler of the Cherry Hill Police Department placed a commemorative wreath in the memorial in honor of those who died in the terrorist attacks on Sept. 11, 2001.